Cut and completely remove house wrap 2” back from the rough opening at the sides and top to allow direct seal of caulking on the nail fin to the sheating, not on the house wrap. Cut the top of the wrap to create a flap, then temporarily tape flap above the head. Note: the old “x” method allows water past the fin and directly into the house. Apply zip or butyl tape flashing to cover the bottom of the opening, overhanging onto the sheating by at least 2” and extending up both sides of the jamb by 6”. Apply a continuous bead of caulking to the interior side of the window nailing fin on the jamb sides and the head. Do not caulk the bottom nailing flange or leave at least two open gaps to avoid trapping water in the pan flashing. Center the window in the opening so there is ¼” shim space on all sides and up to ½” on bottom. Shim the bottom of the window. Ensure the windowsill is level and nail the bottom flange. Take diagonal measurements of jamb corners and square the jamb, shimming the upper corners as needed. Nail the upper two corners of the nailing flange. Then, shim the window jamb at the center points on both sides so that the jamb measurement is the same in the middle as it is top and bottom. 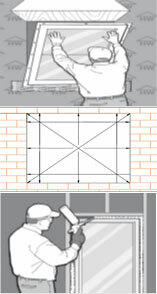 For the window to operate properly, it does not have to be perfectly square in the opening. However, it does have to be square within its own frame. Check the function of the window. Nail off the rest of the flange. Use window and door minimal expanding foam to seal the interior gap between the window jamb and rough opening. Apply tape flashing over the nailing fins on the sides first. Start at the top, approx. 6” above the top of the window and going past the sill tape you applied earlier. Once the sides are done, apply flashing tape across the top of the window, overlapping the tape on the sides. Release the top flap of house wrap and tape it down. 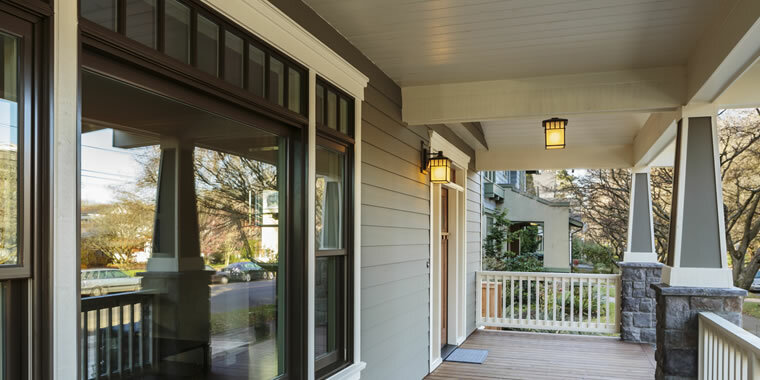 Once brick or siding is installed, finish exterior with osi caulking.